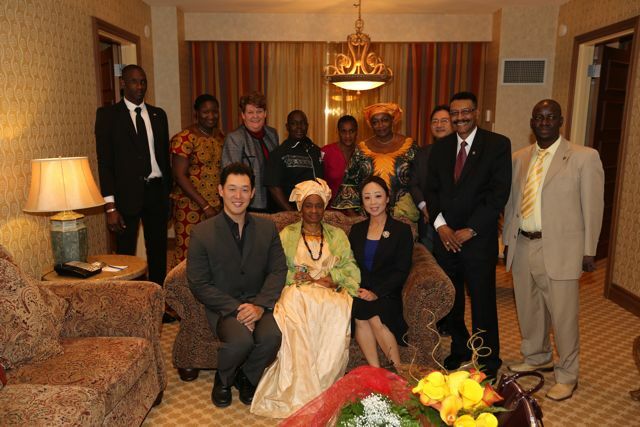 On November 27th through December 2nd, as our third major invitational event in 2013, UEF invited Mrs. Isolina Da Fonseca Nhamajo, the First Lady of the West African republic of Guinea Bissau, to visit Las Vegas. UEF organized meetings with individuals who could offer humanitarian and human development aide to Guinea Bissau through the First Lady’s own charitable organization called Fundacao Firkidja. 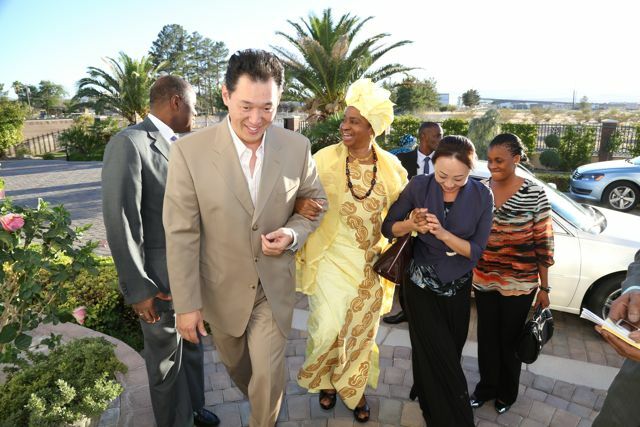 Mrs. Nhamajo took part in presentations of UEF’s vision for world peace and development through education, offered by Mr. Kwon Jin Moon and Dr. Tony Guerra. She also attended a special fundraising dinner in her honor to support the work of Fundacao Firkidja. At the dinner she was honored with special citations from the office of Senator Harry Reid and from the Las Vegas City Council. She, in turn, offered hand-woven traditional cloths to Mr and Mrs. Moon, and to Mr. Zachary Delbex, the founder of Re-Purpose America who is offering the donated materials to the First Lady’s project. Through these meetings and events, the First Lady was able to make the foundation for the donation of materials and technology that can help her humanitarian organization give employment skills and income to handicapped women and young people in her country which is one of the poorest in the world. 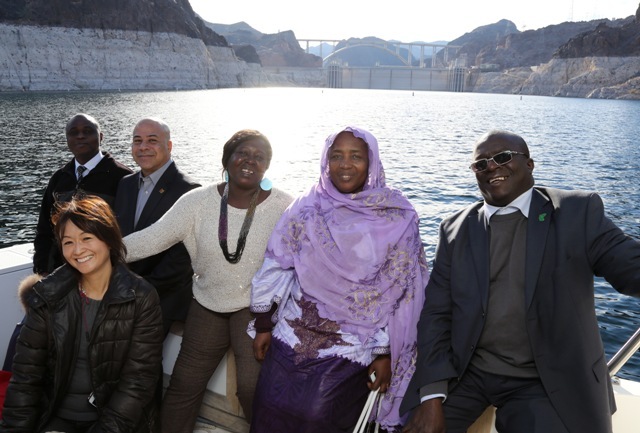 Mrs. Nhamajo and her entourage were also treated to a visit to Hoover Dam and to a night out at the MGM Grand to see KA by the Cirque du Soleil.